The Jack Ryan Collection is a solid release from Paramount for what I consider a nice franchise, however there never was one that stoodout, each being fine filmmaking and storytelling and nice performances from the respective actors. The Jack Ryan 5-Film Collection Arrives on 4K UHD on 8/21! 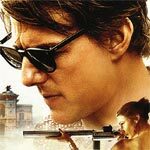 Paramount Home Entertainment has announced the date and released artwork for the action film series, Jack Ryan Collection starring Alec Baldwin, Harrison Ford, Ben Affleck and Chris Pine. Click on the link below or image to the left to check out the features and artwork. Although Alice isn’t to me top shelf Woody Allen material, the film does feature a charismatic and engaging performance from Mia Farrow and at least an interesting, fantastical premise. 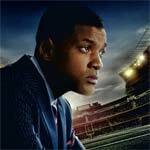 Concussion is, technically speaking, a well made film and features a good performance from Will Smith, but in spite of what works, at its core the movie is missing a soul. In the hands of a more skilled filmmaker it could’ve been emotionally charged and instead it’s rather forgettable. 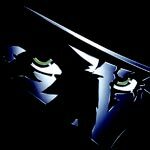 The Shadow had plenty of potential but thanks to budgetary constraints and a screenplay that probably could’ve used a polish, that’s all this film is left with. But now 20 years later, it receives new life on Blu-ray to the point hopefully it finds a new audience and Hollywood takes another stab considering the advancement in visual effects with value to the dollar. To Rome with Love had potential with an impressive cast, which Woody Allen always manages to bring together, intriguing/bold stories and an absolutely beautiful locale that never gets old seeing on screen. However, with these multi-stories going in and out, the pacing is at times dreadful and when really only one of the stories is the least bit entertaining, it can be tough to get through the others (the Roberto Benigni one does have its hilarious moments, though). This might be Woody Allen’s worst movie but it’s a stark drop-off from Midnight in Paris.